1942 Francolor France started to sell aniline and dyes for the leather and textile industries in Chile. 1946 Creation of Quimica Industrial - Start of silicate production for the detergent industry and distribution of commodities for industrial applications. 1983 During the French nationalization period, the company became an affiliate of the state-owned group Pechiney Ugine Kuhlmann. 1996 Acquisition of Fosfamet in metal treatment technologies (sold to Henkel in 2001). 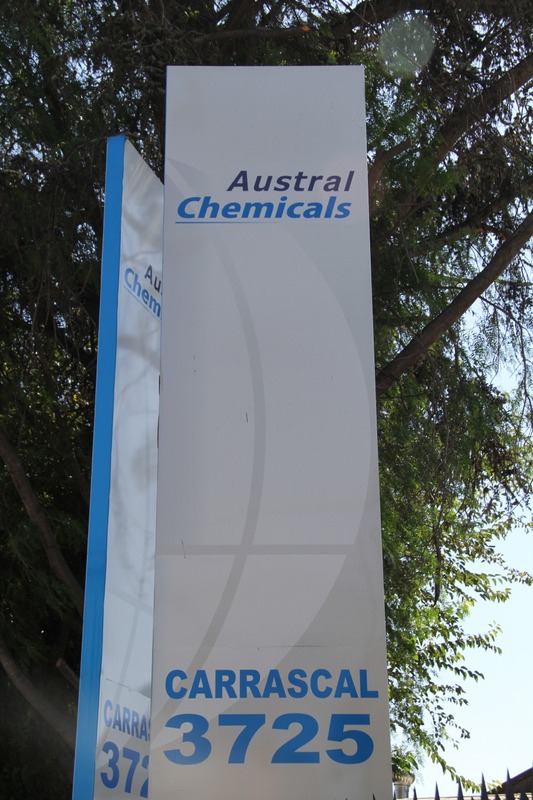 2005 After the merger with Elf Aquitaine, Total Petrochemicals and Arkema sold their Chilean affiliate – Creation of Austral Chemicals Chile S.A.
2009 Start of the polyurethane activity. 2014 Start of the wood protection activity. 2015 Start of the food safety activity and creation of Austral Food Safety. 2016 Start of the coatings & adhesives and metal surface treatment activities. 2017 Enhancement of the plastic and packaging activities.